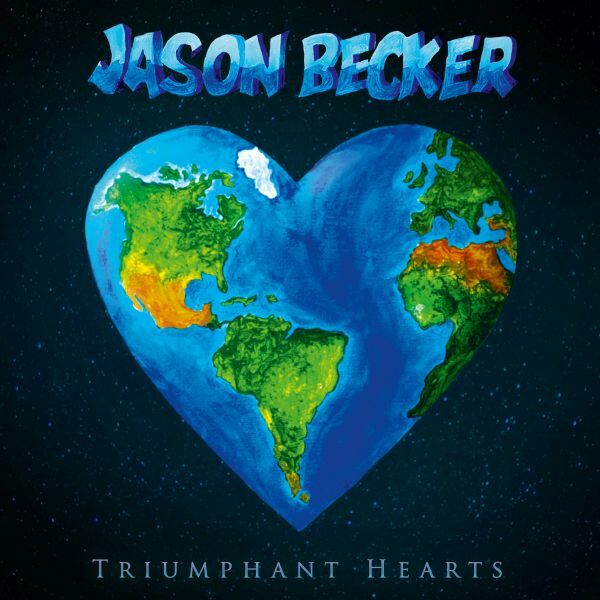 JASON BECKER - TRIUMPHANT HEARTS (CD) | Online Shop | Wizard LTD.
• Jason is famous for being a member of Cacophony and David Lee Roth’s band. • Cacophony, his band with Marty Friedman (Megadeth), and his solo albums have been extremely influential in the guitar, metal and rock music world. Jason Becker is the guitarist/composer who has had ALS (Lou Gehrig’s disease) for over 27 years. He started making albums when he was 17 years old; Cacophony, his band with Marty Friedman (Megadeth), and his solo albums have been extremely influential in the guitar, metal and rock music world. He joined David Lee Roth’s band when he was 20 and they put out A Little Ain’t Enough, Dave’s fourth solo album, which went Gold. Not long after that he was diagnosed with ALS. In 2012, his life story was the subject of an award-winning documentary called “Jason Becker: Not Dead Yet.” He was also on the cover of that year’s July issue of Guitar Player magazine, being called “the greatest shredder ever.” He continues to write and put out music, using a communication system invented by his father. Some people with ALS use this system now. In addition to his new music, Jason hopes to demonstrate through this project how support to meet one’s physical needs can mean that even massive physical limitations don’t necessarily equal creative limitation.